There were beautiful cards in literally all shapes and sizes in the Shape Up gallery. You guys really make it hard for us to choose only a few to feature! 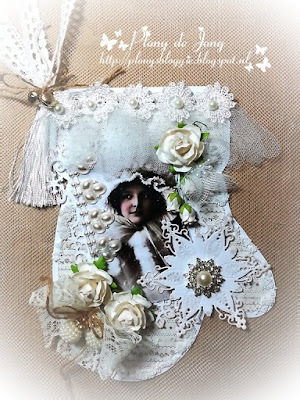 ...created an elegant, vintage-style, mitten shaped card that will surely be framed, or hung on the tree of the lucky recipient! ...not only made the cutest and cleverest round card imaginable, she used a set of non-holiday, watercolor-style landscape stamps to do it! 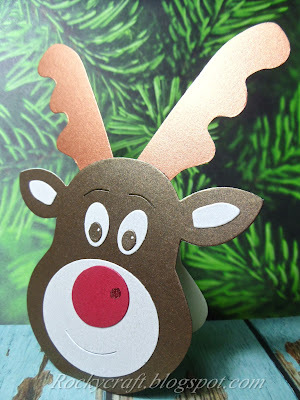 ...used an extra large die, pearlescent cardstock and a whole lot of creativity to paper piece this sweet reindeer card, which not only opens, but actually stands up. Then she called her post, "Getting Ahead for Xmas" which you know went right to our pun-loving hearts! Many thanks to everyone who played along, we loved seeing all of your clever shapes and fancy folds. We'll be back at midnight with a brand new prompt we hope you'll want a piece of! 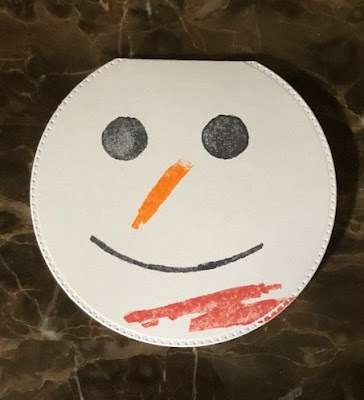 Thanks for featuring hEaDWARD the reindeer, he was fun to make and very simple.